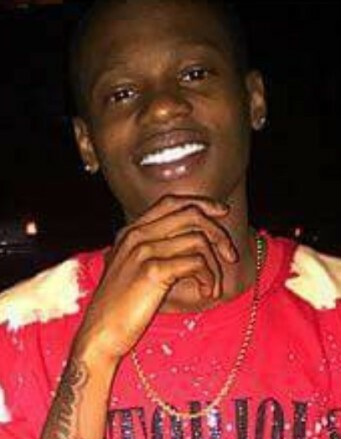 Keontae Deshawn Henderson, 17 of Durham, N.C. became a angel on Sunday September 30, 2018. Keontae was the Son of Requita Bagley and Sammie Henderson lll . He was born on December 17, 2000 in Norfolk, VA. Keontae moved to Durham 5 years ago and attended Hillside High School where he was a senior, slated to graduate June 2019 and then leaving for the US Army. "Tae" as we called him was the comedian of the Family and he had a bright smile that would light up any room and was the sweetest, kindest and most respectable young man you could ever meet. He loved his Family and never met a stranger anywhere he went. He played baseball and football and was a member of the Army ROTC. His favorite sports teams were the Oakland Raiders, LA Lakers and the New York Yankees. "Tae" loved his shoes and made sure his clothes matched them and always kept a tight hair cut. Keontae was preceded in death by his Great Grandparents Wendell & Poniese Brown, Willie & Delois Bagley, Uncles Darry and Robin Bagley. He leaves to cherish his memories his mom, Requita Bagley, father Sammie Henderson, Brothers; Keshawn Bagley, Tayshawn Bryant, Tywan Newsome, of the Home, Kwali Jordan, Derek Rodgers Jr., Charles and Desmond Johnson all of Norfolk, VA. Sisters; Ke’Asia Henderson, Ciani Carson, Ariyana Rogers, Danaeya White, all of Norfolk, VA. Katie Burns of Durham, NC; Aunts Renae Brown, Vicky Cartwright, Kim Bagley of Norfolk, VA, Patricia West SC. Uncles; Cortez Bagley (Sheavona), Breon & Terrance Henderson, of Norfolk, VA. Aaron Vaughan of VA. Beach, Michael Bagley(Pamela) Chesapeake, VA. Clemon Makupson(Minnie) SC. Grandparents; Wendolyn Vaughan (Clayton), of Belleville, Michigan, Ronnie Bagley, Janet Henderson Norfolk, VA. Sammie Henderson, lll of SC. Very special God Parents: God Mother, Dana Brittingham of Norfolk, VA. and his very special God Father, Derek Rodgers Sr. of Norfolk, VA. Special Aunts; Lasonia Knight, Cynthia Robertson, Tanya Boucicaut, Lavonda Kirby, April Winder all of Norfolk, VA. and Shawmeca Jordan (Tim). Special Cousins; Ashley Brown, Jasmine Simon of SC. Lashonda Knight, Robin & Dominic Bagley (Ashley) and Keshia Bagley. A host of Special Family and Friends, too many to name but you know who you are. Visitation is Saturday, October 6th from 3pm - 5pm at Fitchett Funeral Home located 1821 Liberty Street. Keontae's body will lie in state at Mt Zion Baptist Church, 900 Middlesex St. for viewing on Monday October 8th, from 10am - 11:30 am. There will be no viewing after the service. Funeral services will began promptly at 11:30 am. Rev. Gregory Chapman officiating.